Not only is it crucial for a weightlifter to create high levels of force quickly, it is also important for them to relax quickly. As quickly as a lifter gets to extension they need to get out of it. 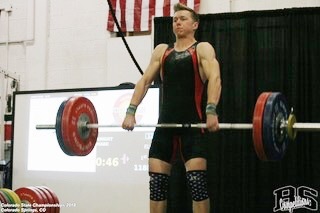 It’s common to see a lifter hang out in extension too long attempting to pull the bar higher. The bar is elevated by the legs and the arms pull you down (Common Faults: Not Pulling Under). The finish should be a flash! This does not mean the pull should be cut short; it should instead be like a towel whip. If the pull is not completed power will be lost. If the lifter stays in extension too long they will lose valuable time to pull under the bar. The arms are not strong enough to continue the acceleration of the barbell so instead they should be used to assist the lifter to their receiving position. As coaches we may also be to blame, with the overuse of some cues like “shrug” and “finish on your toes”. Don’t get me wrong, I do not believe there is such a thing as a bad cue as long as the coach and athlete understand the cue and it corrects something. In general, we don’t use the cue for an athlete to “shrug” nor do we coach the athlete to extend the ankle as a part of triple extension. Yes, the athlete will shrug (themselves down, not the bar up) and they will also finish the pull on their toes, but we find that over cueing these leads to hanging out in extension. Given the correct focus, these things will happen naturally. This is not to say that these cues are wrong or shouldn’t be used but used with caution and quickly abandoned if they create a fault.